We have a right to pursue freedom, justice, peace and a world of opportunity that allows each individual to flourish. These rights represent an inalienable endowment that cannot be separated from who we are at our essence. The role of government is to support an environment of activity that allows each of us to reach our full potential. It is the unique responsibility of advocates and citizens to make sure it does. For those of us who have resources and knowledge, it is our duty to help those who do not have the means to help themselves. We are interconnected and engaged in an infinitely reciprocal movement called life. We are, and everything around us is, a part of a universal system of exchange. Living compassionately, pursuing excellence, helping others, and working for a greater good makes the world a better place. At a political event hosted by Warren Buffett in Omaha, Nebraska a few years ago, I raised a question regarding changing demographics and the troubles facing the poor, and increasingly the middle class in America. Part of Mr. Buffett’s response noted that many folks in the U.S. could not afford to hire a lobbyist or government relations professional to represent their interests in Washington. Point well taken. There are many who cannot afford to hire someone to carry their issues at the national level. Many people, in turn, are disconnected and shut out of the political process. I also would add that there are those who can afford to hire someone, but would rather engage in the process themselves, but don’t know how. In the face of suffering, or opportunity that summons us to action, out-waiting political gridlock is not an option. The Power of Us handbook and this online site have been developed for individuals, non-profits, businesses, working groups, coalitions and others who appreciate DIY (do-it-yourself) and “teach a person to fish” advocacy approaches, and seek affordable access and a guiding hand along the way. A complete set of customizable resources can be found here. For a more comprehensive set of services, please feel free to contact me at The Estell Group. Enjoy the Journey. Anita’s book, The Power of Us, is a translation of the most profound lessons she has learned during her life and over the course of her career in Washington, DC. Anita grew up near the cornfields of Central Illinois, and was raised by a divorced mother of seven, who as a child, picked cotton in the Mississippi Delta. As a teenager, Anita studied freedom and learned about collective action. The writings of Thoreau, Gandhi, King and story of Mandela left indelible impressions on her as a teenager. Advocacy and the use of public policy to strengthen communities have captured her attention and energy since then. Anita embraces the responsibilities associated with global citizenship and social responsibility enthusiastically and with unabashed authenticity. She has translated her passion into her life’s work. She has spent her career connecting communities, strengthening federal policies, and securing resources that help people. It has been said that a small spark can start a fire. When it comes to transformational thought leadership, key relationship management, strategic counsel and advocacy, Anita Estell is that spark. Anita’s reach, impact and reputation extend far beyond Capitol Hill and the executive branch. She has professional relationships that span the world. She has advised governmental leaders ranging from presidents and governors to county executives and mayors, C-Suite leaders from Fortune 500 companies, officers of national non-profit member organizations, and community organizers. 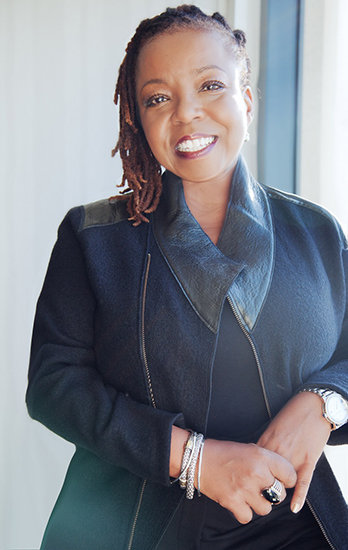 With a keen understanding of changing demographics, the growing relevance of women, people of color and the push and pull of global dynamics, Anita exudes incomparable mastery in identifying opportunities for collaboration and pursuing strategies that work. When it comes to understanding how the US government “really” works, Anita has claimed a unique spot as a trusted and capable resource. Special Note: We offer no legal advice on this site, and are engaged in no activity that should be construed as establishing an attorney-client relationship.